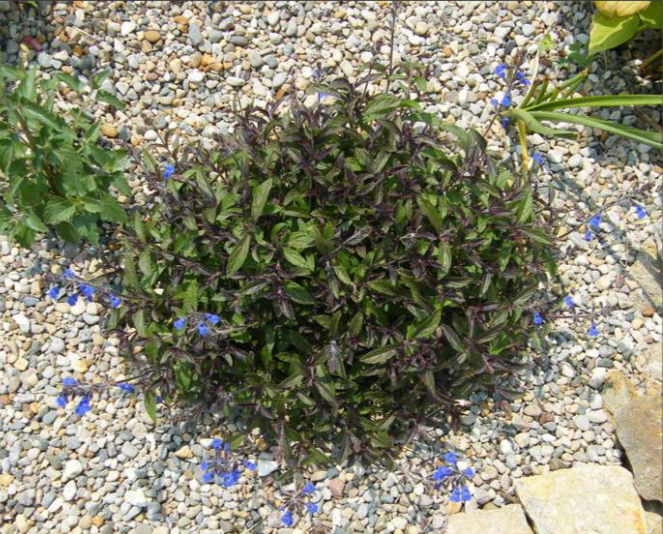 A low mounding 8″ tall salvia with bright blue flower spikes, and burgundy tinted foliage. Blooms non-stop spring through fall. 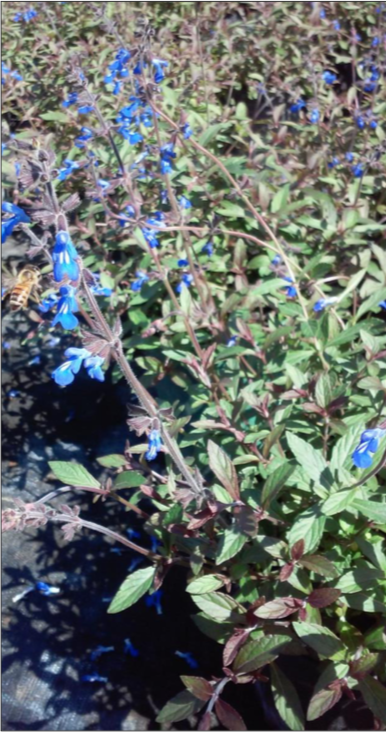 Bees, butterflies, and hummingbirds love this salvia! Full to partial sun, good drainage. Foliage turns amethyst with first cool snap! Perennial.